Behavioral Interventions--For Kids! : Worry Tree.. I cant remember where I saw this but, I really liked the visual it creates for a client. 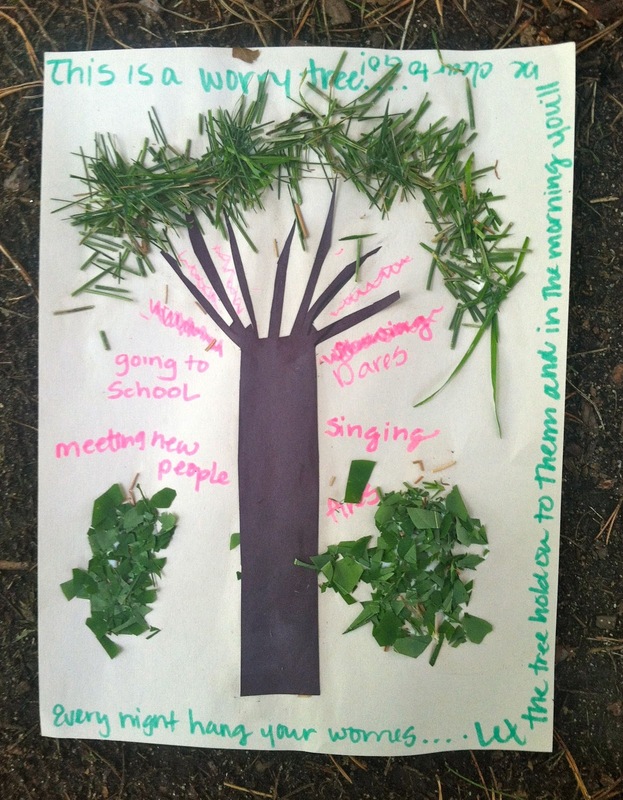 Clients of all ages have a hard time letting worries/anxieties 'go' --But a worry tree is a tree that takes your worries and hangs it on its branches and out of your head. Big weight off the shoulders! Remember that craft box I mentioned? Yeah, just let 'em dig right in! But what are they creating you say? Start by utilizing a relaxation technique--have the client lie down (in a quiet, calm spot--outside at a park for example) and prompt them to close their eyes and take slow deep breaths while forgetting all the sounds around them. Next have them 'melt' their muscles by tensing and letting them go (start at the feet and move up to the face). Now you can lead them through visualizing their 'worry tree' (i.e. 'your walking along and you spot a tree..what color is it? Is it big and rough? Small and frail? etc). The point is for them to create their own tree. Emphasize this tree is happy to take theses worries, have the client visualize their worries and one by one hanging them on the branches of the tree--until all their worries are gone from their arms. Now provide them with the materials and have them bring their tree to life!! Afterwards practice visualizing their tree (either each night before bed or whenever they feel stressed) and go through the same process of hanging those worries up on the branches.